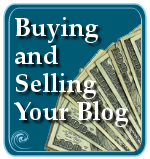 « SOBCon: Be There for the Business of Blogging! You never know when an old post will revive itself and become one of the most popular posts on your blog at the moment. I’ve had this happen many times. Sometimes, it’s expected. More often not. In the beginning, it would send me into a panic, just another of my many blog struggles. I will never forget in November of 2006, we’d survived the a year of non-stop hurricanes, massive cross country travel, deaths in the family, and now, another cross planet move to a new working base. We’d driven for three days with little sleep, hauling our truck and trailer and car from the Gulf Coast of Mississippi to Tulsa, Oklahoma, arriving an hour before Thanksgiving dinner with my husband’s huge family. We raced to the shower and, hair wet but bodies clean for the first time in four days, sat down at the overladen table ravenous, competing with the hungry adults and dozen children for home cooked food. A few hours of food and chasing tired children around the house, I ducked out to check my blogs to see how things had been over the past four days out of contact with virtual civilization. It took some work to get Lorelle on WordPress up as it kept giving me errors. Finally it loaded and I had dozens of comments waiting for me, mostly just saying thank you for the great information. What information? It seemed that during our long drive and disconnect from the web, an article that had never gotten much attention, written the year before, was suddenly off the charts with popularity. 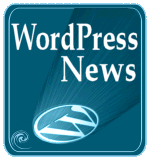 It had been dug by Digg, bookmarked by several new social bookmarking sites, and had so much traffic, the new Blog Statistics chart WordPress.com had just introduced was having trouble keeping up. As was WordPress.com. Within a few days, the traffic was back to normal, but I spent two days in a panic between family events and preparing to pack everything for shipment to Oregon as my husband and his father left to haul the truck and trailer westward, and I, with one of the cats, was to fly to Seattle for a conference and meet up later in our new residence, and updating and monitoring this hot old blog post. I cleaned it up, made sure the outdated information was updated, and that it still said what I needed it to say. I added new related posts, and monitored all of the comments, cleaning out the useless ones and responding to questions. I was exhausted, but laughing. I never thought anyone would ever pay attention to this year old article, let alone have it strike Digg gold. Sheesh. Leave the blog alone for a minute and boom! Massive traffic. I’ve written about how old posts become new again such as when My Tech Talk featured another of my past posts from 2005, Learning About Blogging and How to Blog, turning it into a new gateway post on my blog. There is real value in cleaning up old posts to keep them bringing in new visitors. They are doors through which anyone searching can find your blog and uncover the wealth you’ve written now, and in the past. There are several ways to keep up with old posts. I tend to use them all. While I’m not as consistent about my regular blog maintenance as I tell you to be, I do select one to five posts a month to “clean up“. These are usually the blog posts that I think have value and are often found through search engine results, bringing in a steady stream of visitors. I go through the post, checking links, language, styles, and make sure it is still relevant and up-to date. I’ve changed the look of my blog rarely, but there are still some blog posts with the old style post layout, which I update to make match the rest of the posts. Most importantly, I go through my blog to update the list of Related Posts, a list I create manually by searching for relevant content from within my blog and add to the list. Some of the past related posts aren’t as related as other newer posts, so I clean out the old and add the new, making sure the old post serves as a good gateway to my blog, and holds some interesting paths elsewhere to deeper content within my blog. Without a doubt, the best time to clean up an old blog post is when everyone is looking at it. If you find one of your past posts suddenly getting attention, then rush to it, edit and clean it up so it only gives the best of what you got on your blog. I call it the panic method of maintaining your old blog posts, but if it is suddenly in the spotlight, make sure it looks its best and is a wide open door to the rest of your blog content. 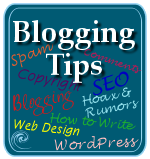 As I write on my blog, on guest blogs, and on other venues such as my regular stint at the Blog Herald, I will often link back to my past posts to make a point or direct the reader to more information. Um, shouldn’t I check first to make sure the past post still says what I need it to say and that it still provides up-to-date information and links to support the current article I’m writing? For me, there are few things worse than making a recommendation only to find out that the information is out-of-date or the link is broken. ARGH! So it pays to check first before including the past post in your recommendations. Why Should I Bother With Old Posts? Why? 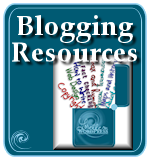 Because old posts are the gateway to your blog. It’s that simple. They exist, and often have more PageRank points because of their age and the number of incoming links. New posts rarely have many incoming links which build over time. They certainly don’t have the respect of time. A new post may even take minutes or days to get properly indexed by the various popular search engines, even though Google may find it in minutes. Don’t forget, Google ain’t the only game in town. An old post is already in the ranks, just waiting for its turn at the search engine spin. You never know when a blog post will suddenly catch someone’s interest. You never know when a blog post will be the post of the town. So it pays to keep them cleaned up and updated, even if you do so after the fact. 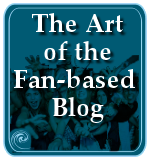 This entry was written by Lorelle VanFossen and posted on January 9, 2008 at 4:33 am and filed under Blog Struggles, blogging tips. Bookmark the permalink. Follow any comments here with the RSS feed for this post. Post a comment or leave a trackback: Trackback URL. I wrote a post about Flickr vs. Shutterfly quite some time ago but those keywords are still sending people to that particular page, which I have had the comments closed (thanks to spammers). How do I clean that post up? My review of the Mason / Dixon Knitting book gets the most hits out of anything I write – and I mostly do other types of book reviews on my blog. That’s a good tip to go back and check links, clean things up – especially after changing themes. Thanks! About the Diggs, stumbleupons of the world: it’s an hour of fame, then the herd moves on. They never comment, do they? If they do, it’s to say “Thanks, great article” which is nice but not very conversational. If you don’t want the post around, delete it. If it no longer provides valid information, delete it. If you want to turn a few visitors into readers, then rewrite it to provide related links and information on similar subjects. If you are closing comments due to spammers, then spammers win. Close it because it is not worth discussing. One usage of the keywords that bring comment spammers via their automatic spamming methods is enough. If it bothers you enough, get rid of it. Let those who really want to know about the subject go to the experts, of which I guess you aren’t one. 😀 Give them the gift of that attention. Thanks for giving us all a clue about blogging. I am a newbie online publisher preparing to launch a magazine. 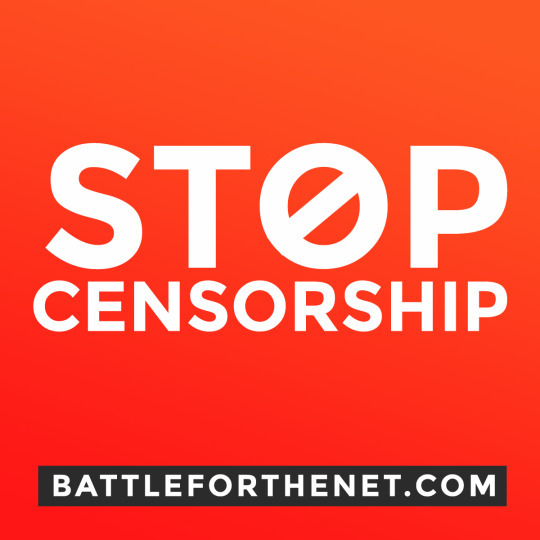 I have a few advertisers interested in helping to support the site.In a 2006 post you said WP did not allow advertising. Has that changed? WordPress.com does not currently allow advertising on its free blogs. You can sign up for VIP Hosting and pay a fee which will give you more freedom. You can also self-host the free version and do whatever you want with that. 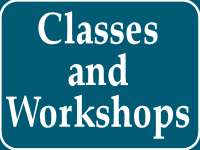 See The Wonderful World of WordPress Products for more details. I think women make better bloggers. Do not get me wrong, some men have good blogs, but Women have nicer blogs that tend to make you feel what they are feeling when they put a post together, They decorate, make the feel of the post match the pics colors better, and this does have an effect on traffic. I am actualy a professional SEO and I use nothing but women in my business as writers and designers. They just seem to be able to put the look and feel togather. I have looked at everyones blogs that commented here on this post, and i am impressed to say the least. The initial post was very informative, and it invited great conversation in the comments. Looks like all of you are going to the top of your game. Thanks for the enjoyable post and learning experience. I’m always surprised not just with blog posts, but also with some page i created on my website many months ago which didn’t get any hits and suddenly one day they are bringing majority of the traffic. 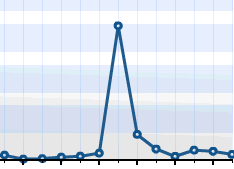 I often monitor my page stats and clean it up if i notice that the page is suddenly getting extra attention. Also i try to find the keyword which people are using to find the page and then optimize the page for that keyword. I have had this happen with an old article I wrote. Once or twice a year it will see an increase in viewers for a day or two and then die down to normal levels. When this happens I go in and make a few updates to the content to help keep it fresh. I’m a relative newbie to blogging as well and have a few blogs. I have a guide I made and stuck on my on one of my blogs and it sat there for months with no views, now I’m getting hits on it and it got tweeted out of the blue. I couldn’t figure out why would my oldest post all of the sudden catch fire? If there’s any rhyme or reason, I hope to figure it out so that the rest of my posts catch fire as well. Lorelle, I’m curious. Do you ever change the publishing date on an old post to bring it back to the top of your list of recent posts? I did that once, but didn’t like the resulting 404 error because the old post date no longer existed. I’m having trouble wrapping my head around changing dates on posts. Thanks! If you change the post date, and your permalinks features the date, links to the old post will break. I do not abuse posts that way. There are other ways to bring a post to the front page, but EVERY page is a potential gateway. We spend too much energy on the front page when it is often the least visited page on our site. Honestly, don’t mess with it. Update the post and blog that to send traffic to the old post.